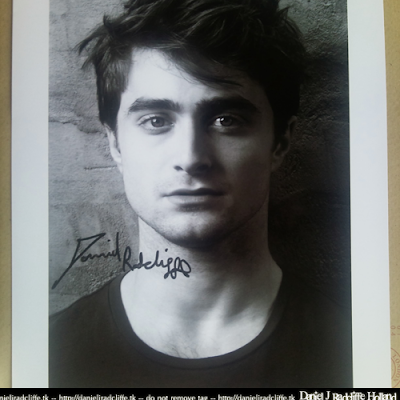 Today (26th March 2012) I received Dan's latest fan mail picture which he sends out to everyone who contacts him via his fan mail address. You can see this great photo by Warwick Saint (2011) below. 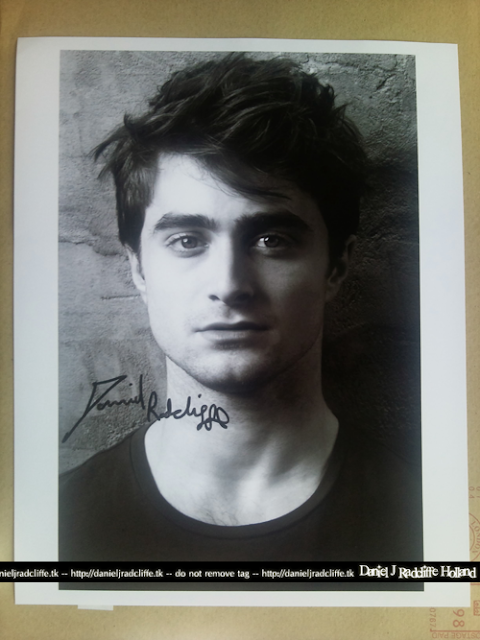 And that when I expected he still would be sending out this one (not a picture by me) which also is an amazing picture..
Can we still send letters at daniel's adress? although daniel can not answer himself at our lettrers, but does he read them once? And what does he do with our letters does he keep them? Yes, "anonymous 8 september", I asked to myself the same thing, because I think (and I hope!) that if one person write Dan a letter "strictly personal", perhaps he read it; but I'm afraid that the staff, the entourage, open the letters... My fear is that they throw them away, and he can't read them!